I’m an artist and a writer and the founder of All the Restaurants in New York. 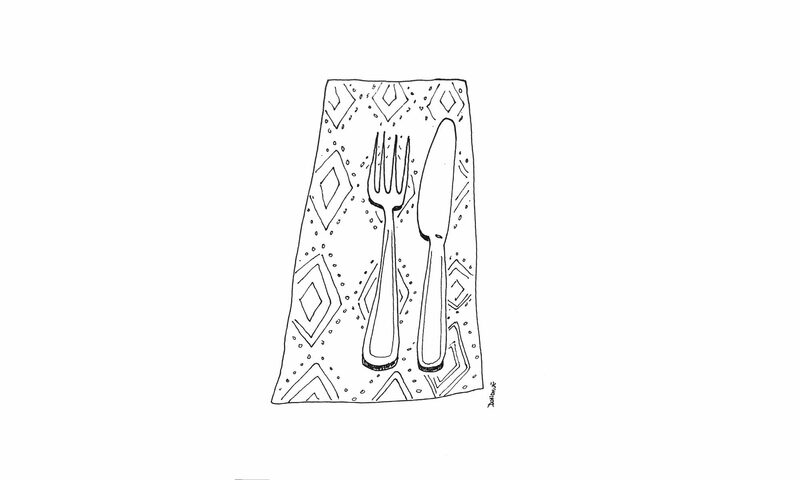 My articles and cartoons have appeared in The New Yorker, The New York Times, Barron’s, and other publications. I’m also the editor of “Man With a Pan: Culinary Adventures of Fathers Who Cook For their Families,” a 2011 best-selling anthology featuring contributions from Mario Batali, Mark Bittman, Mark Kurlansky, Stephen King, and many others. My drawings are for purchase at my online store, Eat Draw Repeat. Some of my journalism can be found on The New Yorker’s site. My first-half-of-parenthood food writing resides at Stay at Stove Dad. My published New Yorker cartoons.